I was just talking to my son about failures. Right now he feels like he’s failing at everything. thus he doesn’t get a perfect score. Then he assumes he’s a failure because of the results. We all fall into this mindset from time to time. he simply hasn’t succeeded yet. Edison is a great example of this. perhaps, just cross a possible solution off of his idea list. will either bring opportunity or despair. Only one requires hard work and is worth the effort. I love how Edison had the right perspective. I am thankful he did, too. 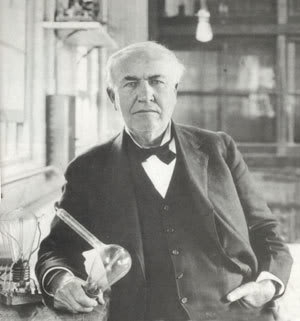 because Edison had the correct perspective on his failure. However, some days are harder than others. My son assumes there isn’t a point to learning most of these subjects. although I surely understand where he’s coming from! obedience even if we don’t understand the ‘why’ behind the instructions given. or we can choose to be joy-filled. The latter does not come natural and requires God’s strength and perspective. 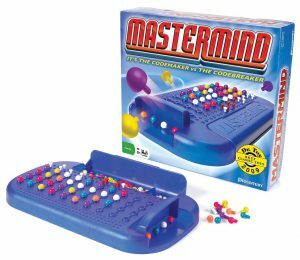 I attempted to use the game Mastermind as an illustration. If you’ve ever played the game you know there is a long board with peg holes. One player chooses a pattern of colors, not letting the other player see. The other player, through a series of guesses, tries to use deductive logic to figure out the pattern. No one gets it the first time around. In fact, they give you almost 15 spaces on the board to try to figure it out. But each time you try, if you’re paying attention, you will learn something. Perhaps all you learn is that there isn’t a blue peg in spot number one. But the point is… if you see each one of those tries as a failure, you totally missed the point of the game. he can and will thrive and succeed at anything he chooses to. And the fact that he doesn’t yet get that grieves my heart. Even more so because he’s my clone (in a boy-version). I totally remember being where he is. Wanting to give up because I don’t see the point of trying. Being lazy instead of diligent when it’s hard or not fun. Some days I’m still right there with him! Even at the age of 40. This is why perspective is so critical. HOW we see things dictates what we believe about… well… everything. I WILL, by default, be thrown hither and yon by the circumstances that swirl and rage around me. they will crush me and steal my joy. I am giving my joy away. we’re just talking about schoolwork. like cancer, loss of a family member or job. even in the midst of chaos and pain. So where does that leave my precious son? He’s having his sister quiz him to make sure he’s really studied well for his two tests tomorrow. to grow and get where God wants us to be. He doesn’t always choose correctly. (via obedience, respect and a good attitude). tugs on him with force equal to a hurricane. smarter, more efficiently and effectively. He’s choosing joy over circumstances. Which perspective are you choosing? So not looking forward to dealing with this when my daughters reach that age! Thank you for sharing your thoughts! It’s a great reminder to put it in perspective. Love this post. And it comes at a perfect time for me when I need the reminder…to choose my own perspective. In baseball, the BEST hitters are successful only 1 in 3 tries. Great perspective . . . he’ll do just fine!